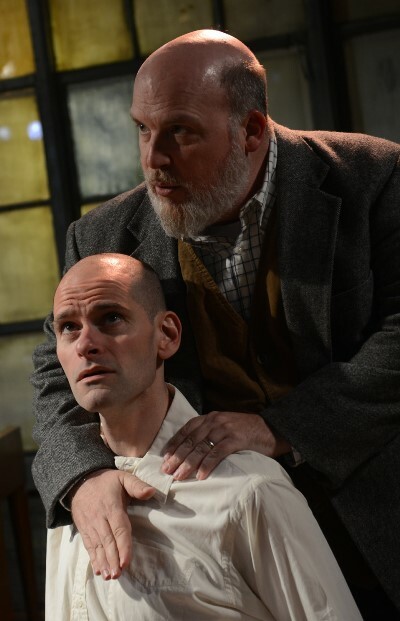 Interview: Member of Chicago Sinfonietta with a stage background, actor portrays a musician at odds with his daughter in Jessica Dickey’s play at Strawdog, through June 21. 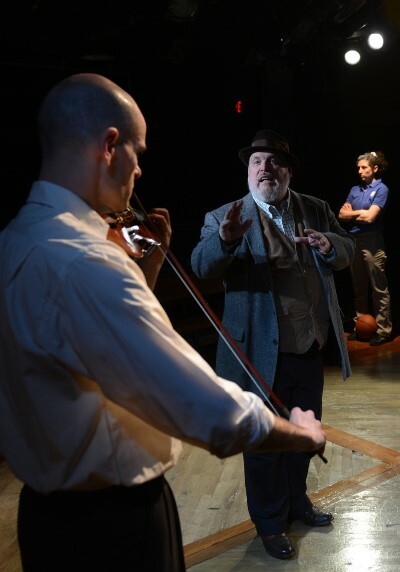 When Dave Belden took on the role of a violinist whose daughter wants nothing more than to play basketball, in Jessica Dickey’s “Charles Ives Take Me Home” at Strawdog Theatre, he saw himself as perfectly suited to the part. He plays in the Chicago Sinfonietta. What he had to overcome was his notion of himself as a fundamentally nice guy. That edge of abrasiveness is honed from the get-go, with John’s first speech – to the audience, about how much he likes breasts. His point is that an enthusiasm for breasts leads to begetting a child like Laura, who one day confronts her doting father with – what’s this? — breasts. And that’s confusing for a man. 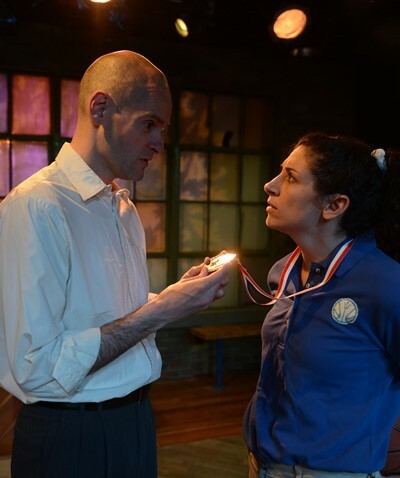 This rumination is cast in somewhat more jarring terms, and Belden, whose extensive training as an actor includes studies in Chicago and England, says it instantly allows him to connect with his audience and to establish his unvarnished personality. A memory play, “Charles Ives Take Me Home” looks back on the adult life of a man who struggles to connect with a daughter he cannot understand. 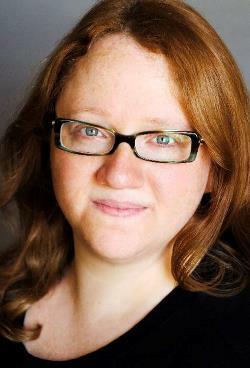 Though Laura (played by Stephanie Chavara) is John’s delight as a child, she steadily pulls away from him as he refuses to engage her growing passion for basketball. The iconoclastic American composer Charles Ives figures into all this through a chance meeting with John – when Ives, near the end of his life, appears as a substitute teacher during John’s student days at the Juilliard School. The young man has just lost his father, and Ives (Jamie Vann) briefly fills that void as mentor not only in music but also in life itself. In spirit — albeit a complicated one — Ives will hover in the background throughout John’s days. “John reveres this great man, but he’s not really listening to him, anyway not the first time around” says Belden. “But later, when John ‘returns’ to their tutorial session, it’s like he’s hearing these things for the first time and realizing he wasn’t paying attention when he was 20 years old. The idea of meeting an iconic figure like Charles Ives piqued Belden’s imagination. As a professional musician, a graduate of Northwestern University, Belden’s actual knowledge of Ives’ music was based on a few of his best-known works such as “The Unanswered Question” and “Central Park in the Dark.” While, in the play, John’s familiarity with Ives is greater, Belden says he could put himself in John’s shoes at such a meeting. “It’s that thing that happens with heroes: What would I say, would they like me, would I learn from them? John thinks they’re going to talk about music, but Ives quickly shuts that down. He wants to talk about something else entirely – life, and the recent death of John’s father. But “Charles Ives Take Me Home” finds John examining his life from both directions, reflecting on his past and grappling with what might be called the evolving present. It is all deeply conflicted. In the end, John is able to view his life and his daughter’s with calm objectivity. That final assessment, says Belden, is the hardest stretch to get through. “The first time I read that last scene, I was crying but also thinking, ‘This can’t work.’ I had real concerns about how it would actually play. And at our first group reading, everybody was in tears at the end. It’s the first play I’ve ever done where I couldn’t help crying.